Both Palm Beach & Seashore Holiday Parks are situated within metres of the spectacular Heacham North Beach and makes it the perfect base for exploring the wonderful Norfolk Coastline and countryside. Heacham Beach is a really popular location for fans of outdoor pursuits, The Wash this huge bay which is 20 miles wide and west facing, which gives the bay a very sheltered position and safe feeling away from the open sea. The sunsets on the beach are what picture postcards are made up of with the reflection of the sun providing a golden and silver road across the water. For food lovers, the surrounding coastal villages provide a wide choice of gourmet pubs and restaurants, many of them award winning. A summers evening trip out to your favourite choice really is delightful. Heacham is the perfect family holiday destination with plenty to do for both adults and children and will keep you amused all day. Why not take a leisurely stroll along the beach towards Hunstanton, you really will love it. Nearby Hunstanton has both new and old attractions, with an exciting funfair and Blackbeard’s adventure golf, there’s fun for all the family. The Sea Life Sanctuary has sharks, otter and penquin sanctuaries. 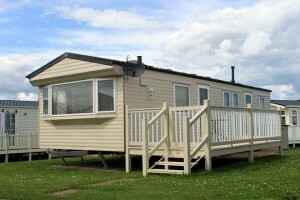 Both parks are ideally located to explore the whole of the Norfolk coast.